Robert M. Olson, 92, passed away on Wednesday, January 23, 2019 at Cloverleaf Healthcare in Knightsville, Indiana. 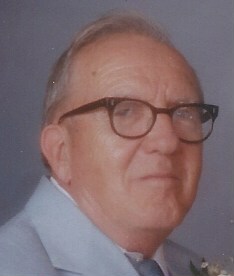 He was born in Albuquerque, New Mexico on June 17, 1926 to the late Mauritz and Ruth (Reynolds) Olson. After graduating high school, Robert served his country in the United States Army from 1944 through 1946. When he left the military, he started work at Donnelley Publications as a proof reader and went on to retire from there 35 years later. When Robert was well, he enjoyed playing in The Kitchen Band at local nursing homes. He also enjoyed large meals with friends after his band performances. He was preceded in death by his wives, Maureen (Kibler) Olson, and Rose (Smith) Olson, and his brother, Ralph Olson. Funeral services will be held at 1:00 P.M. Saturday, January 26, 2019 at Moore Funeral Home in Brazil with Reverend Mark Thompson officiating with burial to follow at Roselawn Cemetery in Terre Haute. The family will accept friends for visitation on Saturday from 11:00 A.M. until the time of service. In lieu of flowers, the family asks that donations be made to Kindred Hospice. Donations envelopes will be available at the funeral home.